About this series: As we learned about Russia’s traditional faith, Russian Orthodox Christianity, we discovered an enormous, mostly forgotten treasure of striking Christian paintings, mostly unknown in the West, starting from approximately the early 1800s, and continuing to this day. 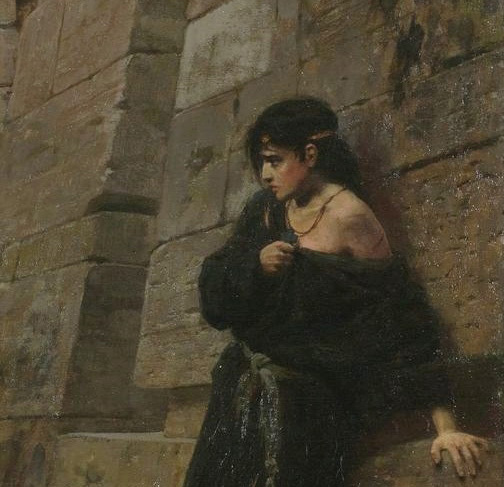 On the canvas is a scene of the execution of a young woman. Roman patricians loved to amuse themselves with cruel games. This picture reflects the mores of the time. 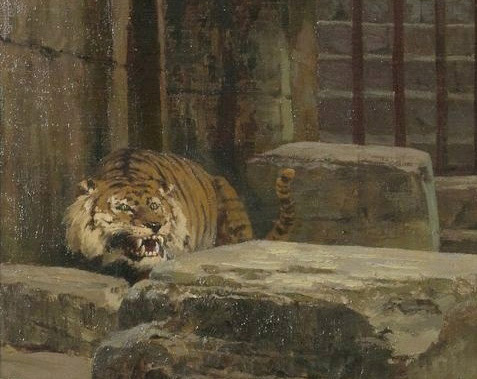 The plot of the picture is very tragic: a young woman in a torn dress stands, clinging to the wall, and in front of her is a tiger, ready to jump. He bared his fangs, preparing to break his victim. Roman patricians are watching the stage above. Vasily Dmitrievich Polenov (1 June 1844 – 18 July 1927) was a Russian landscape painter associated with the Peredvizhniki movement of realist artists. His contemporaries would call him the “Knight of Beauty” as he embodied both european and russian traditions of painting. His vision of life was summarized as following: “Art should promote happiness and joy”. As a painter and a humanist, he would truly believe in the civilizing mission of Art, Culture and Education. Many of these paintings and artists are hardly known in the West, dismissed by the secular, atheist, globalist modern ‘art’ vogue. We are delighted to bring you this series, which consists of several dozens of works. You can see all of the works in this series by clicking here. Hey Buddy!, I found this information for you: "‘Caesarian fun’ (Vasily Polenov,1879) – GREAT RUSSIAN CHRISTIAN ART". 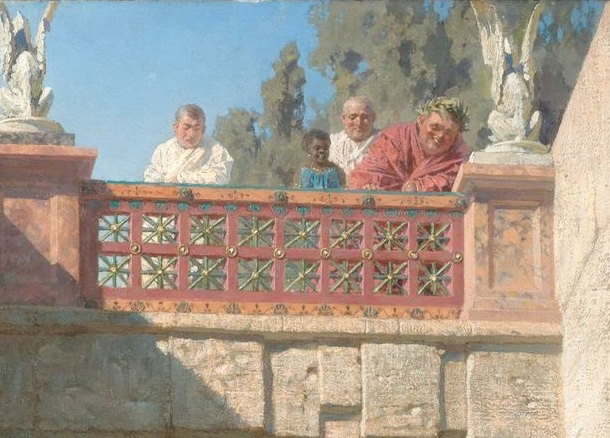 Here is the website link: https://russophile.org/caesarian-fun-vasily-polenov1879-great-russian-christian-art/. Thank you.